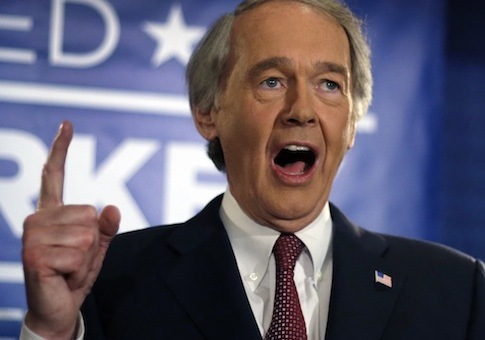 Rep. Ed Markey (D., Mass.) received a television ad endorsement from former staffer and donor Nicholas Lowe, America Rising reported Wednesday. Lowe previously served as a legislative aide for Markey. Additionally, he donated $1,000 to Markey’s campaign in 2012. Lowe is the founding partner of 451 Marketing, as the ad notes.